Since automobile industry is experiencing a boon, most of the manufacturers and dealers are making numerous attempts to make their sale and purchase events more credible. A lot of manufactures, retailers, and dealers have joined hands and agreed to provide detailed sales agreement to ensure that their sale remain transparent and valid till long. 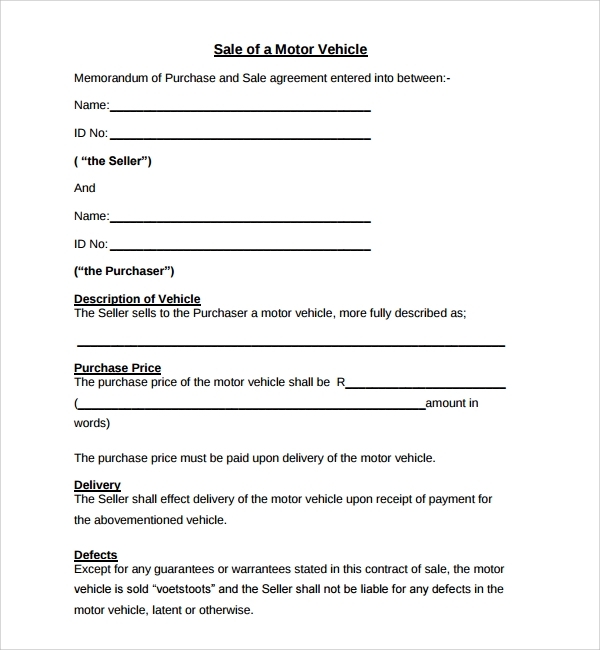 Although it is quite common that consumers may make the mistakes while signing contracts, but the Auto Vehicle Purchase Agreement Template ensures that everything about a particular sale is mentioned in the contract. The detailed template includes all the necessary points and factors that one needs to cross check before signing a car purchase agreement for an expensive new as well as a used car. 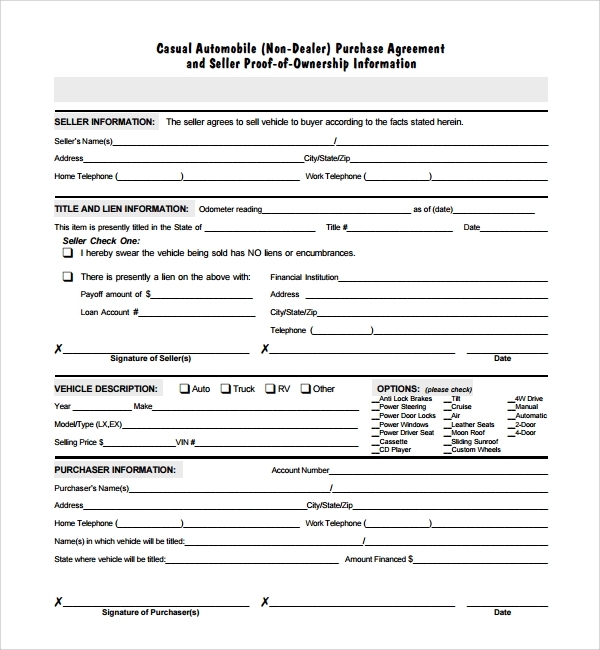 The Generic Auto Purchase Agreement is mostly used by entrepreneurs or firms engaged in car dealership business. 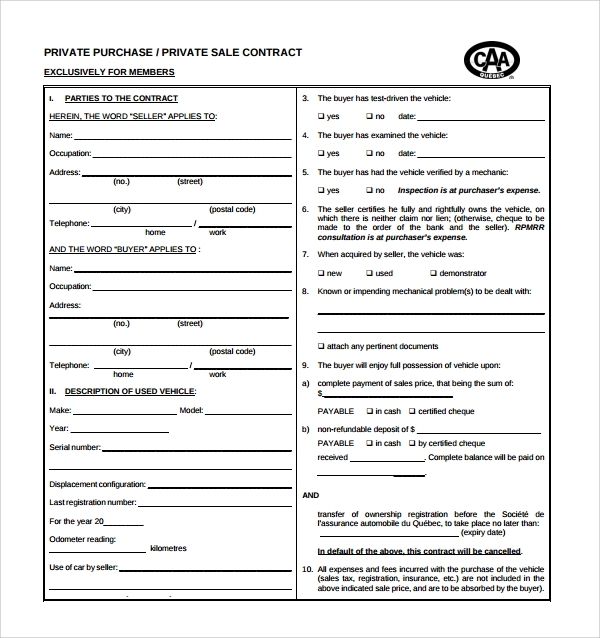 They generally download this ready-to-use and modify template for making their car sales agreements, before finalizing a sale. The contract template is specially designed as per state and country laws to ensure that they serve as a sales agreement between the buyer and seller. 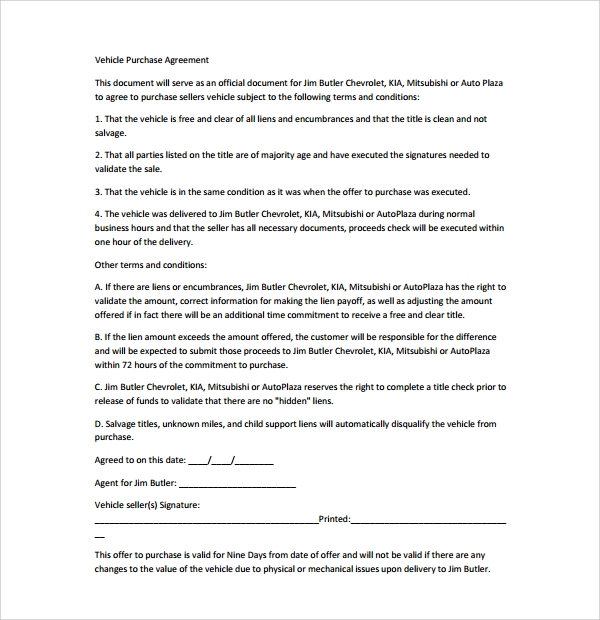 In order to validate a fair deal, you may be asked to sign a bill of sale, a simplified form of car purchase agreement. Having your own and well-designed for reference helps you understand all the legal terms and conditions without taking help of nay lawyer. Additionally, all of these agreements helps you in stating that the vehicles you’ve purchased are not being involved in any of the hit-and-run accidents. As the name suggests, it is quite clear that the Private Auto Purchase Agreement offers a bill of sale that allows you to create a simplest form of buying contract that can be used later for legal referrals. The template is only downloaded and used during private-party sales where a full payment is made for the vehicle upon purchase. 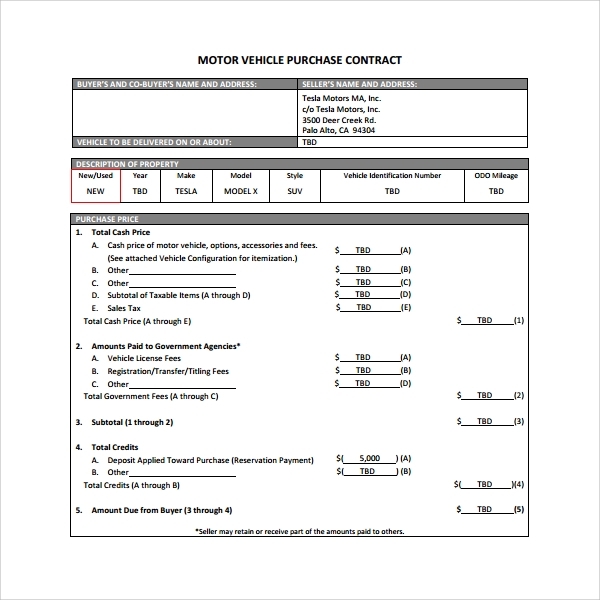 The one-page document enables you to print a detailed bill of sale that incorporates various details including seller’s name and address, buyer’s name and address, make, model, year and color of the vehicle, vehicle’s VIN number, and other crucial information. Many a time, most of the buyers couldn’t afford a new vehicle that is why they try attempting purchasing a second hand auto for domestic use. 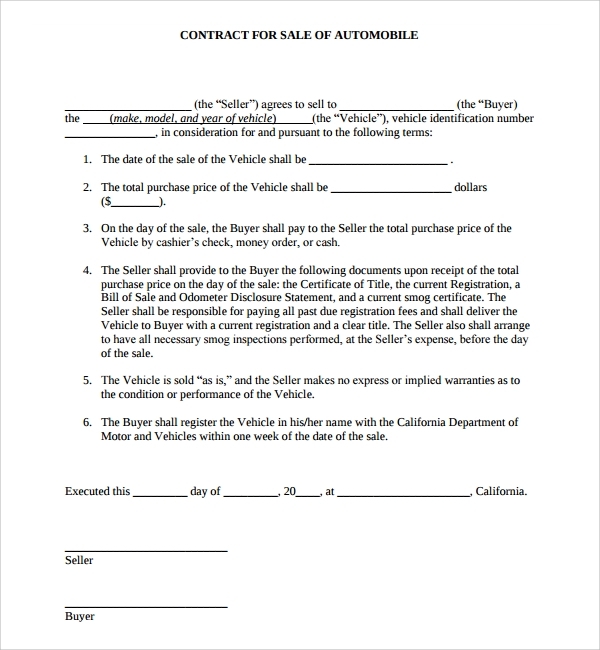 The Used Auto Purchase Agreement helps you to create, draft, print, and get a descriptive service contract signed by both the parties to ensure that it works as a legal proof for documentation. The contract may also include promise to perform (or pay for) certain repairs or services that the seller will borne before handling the auto to the buyer. All of these templates can help you define various things including extended warranty, vehicle defects, and other important information to make you transaction notarized. Why you Must Use Readymade Templates? A wide range of readymade templates are available online to help you procure a safe deal without any loopholes. 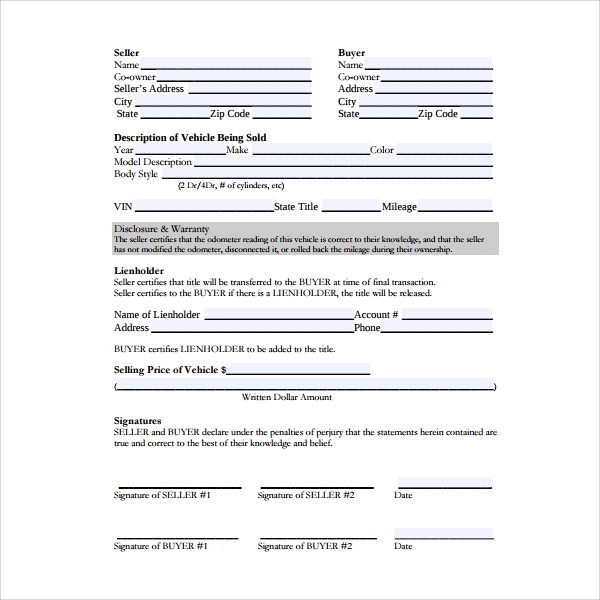 You can scroll through the various available options and then download the one that meets your exact needs and requirements to ensure that your automobile purchase agreement stays valid for resolving any sort of disputes or discrepancies that may happen in the near future.